Hi guys. I don't remember when the last time I review a game. But don't worry, because I will review one now. I have played this game in my PC recently. Quite amusing. 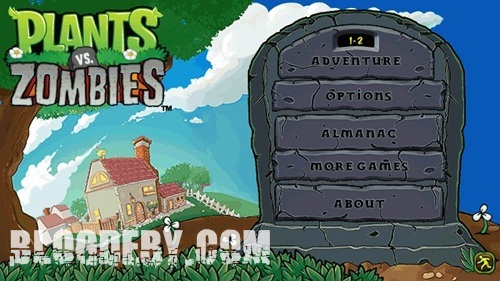 The game is Plants Vs Zombies for S60V5 gadget. 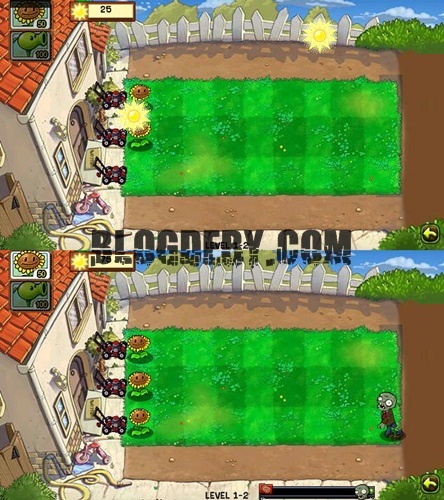 This game is published by EA Games and Pop Cap, and it is a kind of java game. In Deby's Blog, we never review something that we do not try. And for this game, of course we play it first. And now we will report it to you. Let's Start. This game has a same design with the PC one. 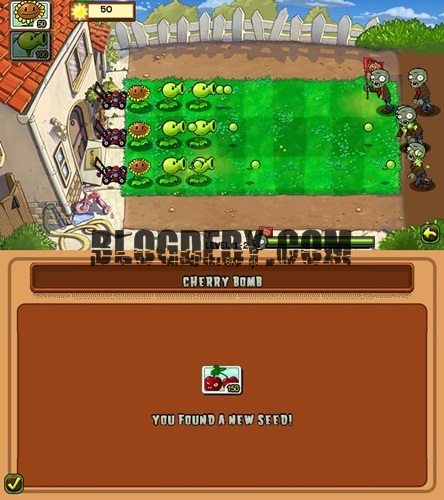 We plant some plants to fight the zombies before they reach your home. We have sunflower, mushroom, and the other. Everything is fine for me except one, the Sound Effect. It has no sound effect. Just a background music repeating all over the time. I suggest you to disable the sound. Because it is quite annoying for me, and maybe for you. We are not finishing the game to the end.We just play it for some stages. So, we are sorry not to inform many thing, but I thing all of the character is all the same with the PC one. And for the Score, Deby's Blog Review Team give this game 7/10. I hope my review could give you enough information about this game. And because I get this game for free, I will share it for free either to you. Please be welcome to have it for free.